Lick your lips, this one is HOT! A delicious chili pepper – shaped to perfection. 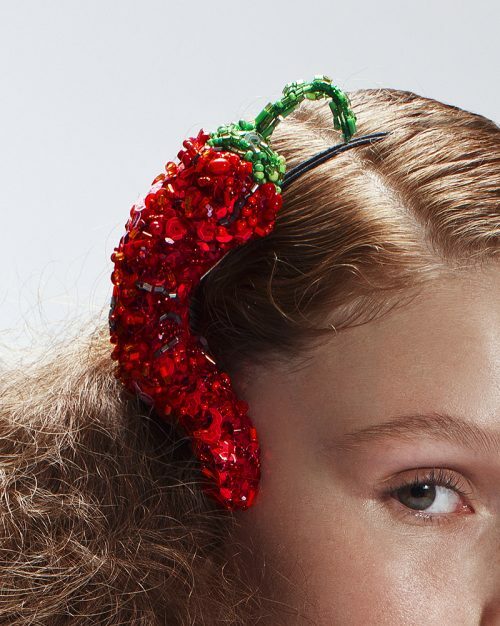 Meticulously embroidered with beads, sequins and crystals, creating a 3D chili pepper with shaded contour lines. Positioned on an ‘invisible’ wire headband, adorning the right side of the head. A super chic addition to any outfit.